How does one breathe new life into the high-rise inspection business? Build a robot named SAM and let it do all the work. That’s what building envelope inspection firm, FTD High-Rise Inspection have done, and there are encouraging signs that their new approach may be adopted by an industry that’s typically resistant to change. To conduct a building inspection, most companies employ a human inspector who scales a building on a swing stage or chair. While this may not be the most effective way to inspect a building, it’s the way inspections have been performed for many years. FTD, founded by Jozef Sobotka and his two son, Filip and Thomas, envision a world where sophisticated, camera-equipped robots scale the buildings and feed information back to a team of structural engineers. 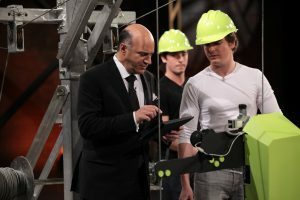 The company has already built a robot capable of doing the job and showcased its abilities to a very impressed group of dragons on Dragon’s Den. While FTD is still relatively new to the scene, they’ve certainly made GTA-based companies aware that they’re out there and doing something potentially revolutionary. BuzzBuzzHome: When did FTD begin working on the concept? Filip Sobotka: The concept began a few years ago when my father Jozef witnessed a building inspection being performed. During the inspection he noticed that the engineer couldn’t see around the corner of the building while on a swing stage and had to tape his camera to the end of a broom stick. That was the “light-bulb” moment which got the wheels spinning to where we are today. BBH: How long has the robot existed? FS: The current robot was delivered to us in December of last year. BBH: Is the building industry inspecting buildings as effectively as it could be? FS: I don’t think so. But I feel that’s the case with every industry. There are always things that can be improved and tinkered with. We are trying to give a more complete picture of the building envelope which can be used to gain a more accurate understanding of the building performance. 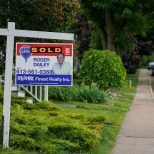 BBH: Why is it so appealing for property managers to use your robot? What are the benefits? FS: Our service is appealing to property managers because they now have the ability to view their entire building envelope at a moments notice. It’s also a great preventative maintenance tool, scanning an entire building allows to find issues that would have turned into bigger problems had they been unnoticed. Lastly, the images we collect can be shared with other engineers and contractors which are invaluable down the line. BBH: What is your short term goal for expanding the company? Are more robots in the works? FS: Our short term goal is to help property managers get a better understanding of their building envelope one inspection at a time. A big hurdle to overcome is to make our service known to property managers which I think is the case with all new products and technologies. In terms of more robots, we are currently working on updating our software which will allow our robot to become even more efficient. We are aiming to have a new robot out in late summer/early fall. We’re always talking to new clients but nothing that I would consider major, but that can change very quickly.